i just received my betty boop pj's and the pink nightie. so comfy soft and cosy. i am going to have to buy something else!! thanks again. Thank you to all the fabulous people who entered our most recent competition. With so many entries to choose from, it was very difficult to pick just one winner. We wish we could award you all with the prize, but we had to make a decision. We have now chosen the winner. the Australian Women's Weekly Outfit Giveaway! Both of these items are available in sizes 12-32. The prize cannot be exchanged for cash or a store credit but may be exchanged for a different size if available. 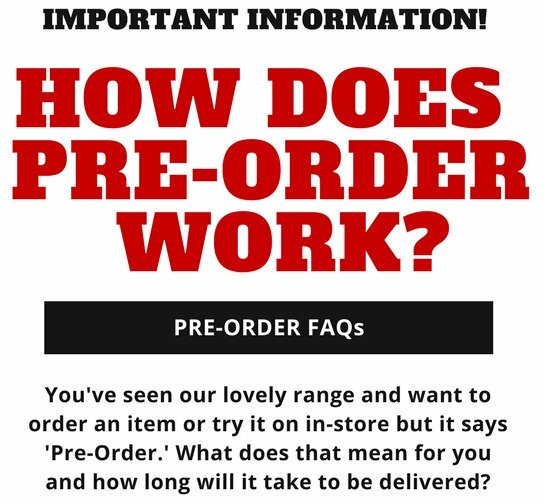 1) Subscribe to our newsletter is you haven't already. 2) Send us an email to [email protected] and tell us in 25 words or less, why you would love to win this outfit. Entries close on the 29/11/2013. Our favourite answer will be chosen as the winner. The winner will be decided on the 30th November 2013 and will be notified by email on the 30/11/2013. This competition is run by Work Rest And Play Plus Sized Clothing and is not endorsed by either Australian Women's Weekly, or Facebook. Selfie Competition - Win A $250 Gift Voucher! Throughout the month of September we are running a competition to win a $250 Gift Voucher. To enter the competition, all you need to do is to email us a photo of yourself wearing an outfit that you have purchased from Work Rest And Play Plus Sized Clothing. Entries close on Tuesday 17th September 2013 at 5pm (AEST). Entrant's photos will be uploaded to our Facebook Page and the photo with the most Likes before the end of September will win the prize! Entry Tip: To win this competition, we recommend getting your friends and family to support you by Liking your photo on our Facebook Page. Once the photos have been uploaded to Facebook, Share your image with your friends and request them to Like your photo and Share it with all of their friends. Terms & Conditions Of Entry: Limit of 2 photo entries per person. 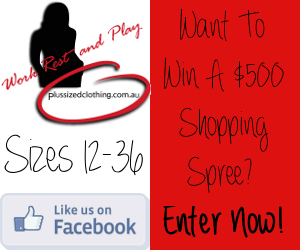 By entering the competition, you grant Work Rest And Play Plus Sized Clothing the right to publish your photo entry/entries on Facebook, www.plussizedclothing.com.au and on any other medium deemed fit to promote Work Rest And Play Plus Sized Clothing for an unspecified period of time. Photos of entrants who are not wearing clothing purchased from Work Rest And Play Plus Sized Clothing or photos of any inappropriate nature will not be entered into the competition. Winner Of Our June 2013 $500 Shopping Spree Competition. Thank you to everyone who entered the competition. Congratulations Kobe! We will be in touch shortly by email to provide you with your prize. Are you interested in becoming a plus size model? Are you between size 14 and 36? Are you based in Melbourne, Australia? Do you have a passion to be a plus size model? We do not require you to have previous experience in modeling. All we ask is that you have a desire and passion for it and have time available for photo shoots. So if you are still looking to break into the plus size modeling industry, are available in Melbourne, and are flexible on times, email your expression of interest, including 2 to 4 photo’s (please include at least 1 head shot, and one full length photo), to [email protected] asap. We will then assess suitability, and get in touch if you have successfully been shortlisted for a photoshoot. Frocktober - For Ovarian Cancer Research Foundation! Move over Movember, this one's for the girls! Frocktober is a great way to raise funds for charity and is a fabulous innitiative based on the humble dress! 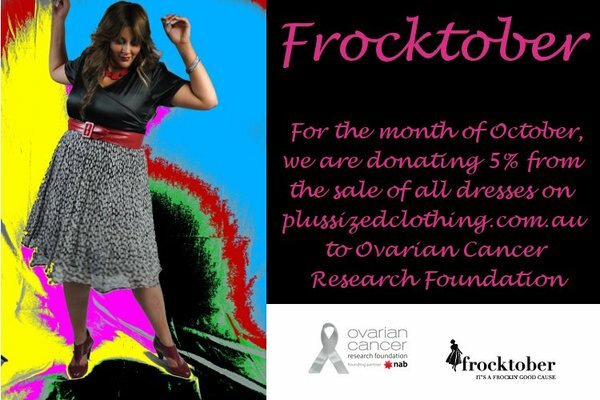 The Frocktober challenge is simple: to wear a dress in October to raise funds and awareness for ovarian cancer research. The OCRF has developed to become one of Australia’s pre-eminent body supporting ovarian cancer research programs that occur nationally and is focused upon the understanding of the causes of ovarian cancer, its early detection and improve patient survival. One Australian woman dies every 10 hours from ovarian cancer - most because their cancer is detected too late. Donations to the OCRF prosper research into and the development of an early detection test. This is such a worthy cause and we would like to offer our support. 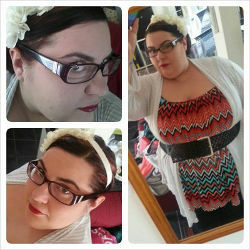 So for the month of October, we are donating 5% from the sale of all our dresses* on http://www.plussizedclothing.com.au. We know you will love our new range of dresses, and now you will also get to raise money for a great cause! Thanks for helping us raise funds for the Ovarian Cancer Research Foundation (OCRF). 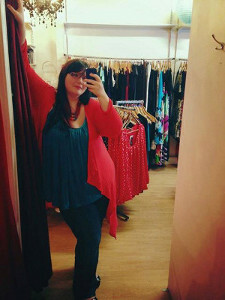 Work Rest And Play Plus Sized Clothing is an Australian plus size clothing store designed exclusively for women with a fuller figure who don't wish to compromise on style. Stocking the latest plus size fashions from around the world in sizes 12-36. Shop for plus size clothing online.